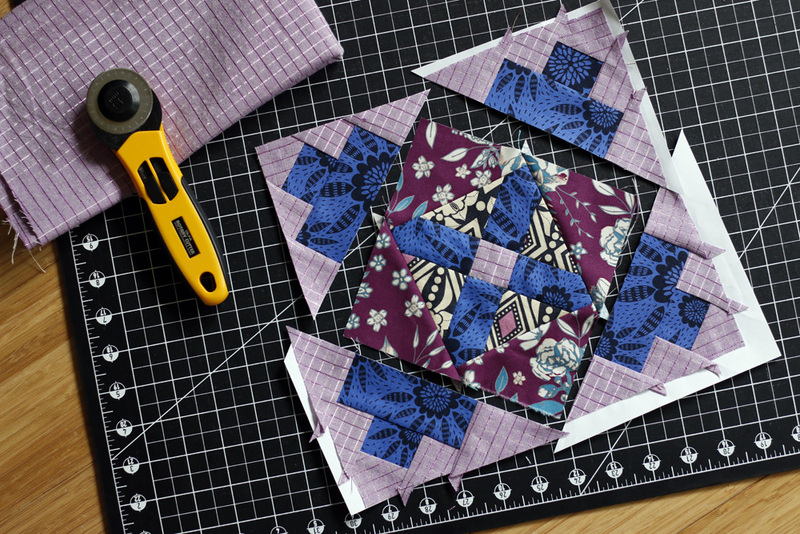 Are you a new quilter or making a fresh start with this fantastic hobby? Would you like to invest in some good tools, but want to make sure you put your money where it matters? As a counter to 5 Tools Most Quilters Don’t Really Need, here is my short list of “extras” that really pack a punch. Definitely purchase the largest rotary cutting mat that you can afford. When cutting yardage, preparing backings and trimming finished quilts, you’ll really appreciate those extra inches. I use a 24” x 36” self-healing cutting mat. Don’t hesitate to buy a pack of 10 or so extra rotary cutting blades. They’re cheaper when purchased in bulk and you will need them. Most quilters agree it’s better to buy new blades as opposed to trying to sharpen them. New self-healing mats seam to dull blades faster, fyi. I think owning two irons is a good idea for all sewists. Irons don’t really give much warning. They suddenly stop working, leaving you stranded mid-project. Owning two also means you can set up a second pressing station if you have a friend over to sew. Especially if you love your current model, buy another of the same while it’s still available. There is a real difference in durability between cheap thread and higher end thread. Cheap thread is fine for home decor projects, button repair and sewing garments which don’t usually take a beating. But for quilts, which are heavy, hard-working and meant to last, you’ll regret not investing in a quality thread. I can recommend: So Fine, Gutermann and Aurifil. Are you quilting on a home machine? Do you have to fight with your quilts to move them through a small harp space? Entry level machines don’t have enough wiggle room for quilters. What’s more, they often don’t do well with free motion quilting, a skill that’s hard enough to master on an ideal machine. If quilting is your passion, you’ll really benefit from upgrading to a nicer machine like the Juki TL2010Q. Make sure whatever you choose includes an extension table (and I highly recommend a knee lift and automatic thread cutter too). I hope that helps you cut through the clutter and set some priorities! If you found this helpful, you might also like my course designed to help you set up your ideal sewing room. Join QuilterSpace to start your personal sewing room makeover. This brand new virtual course is available now, just in time for spring cleaning!